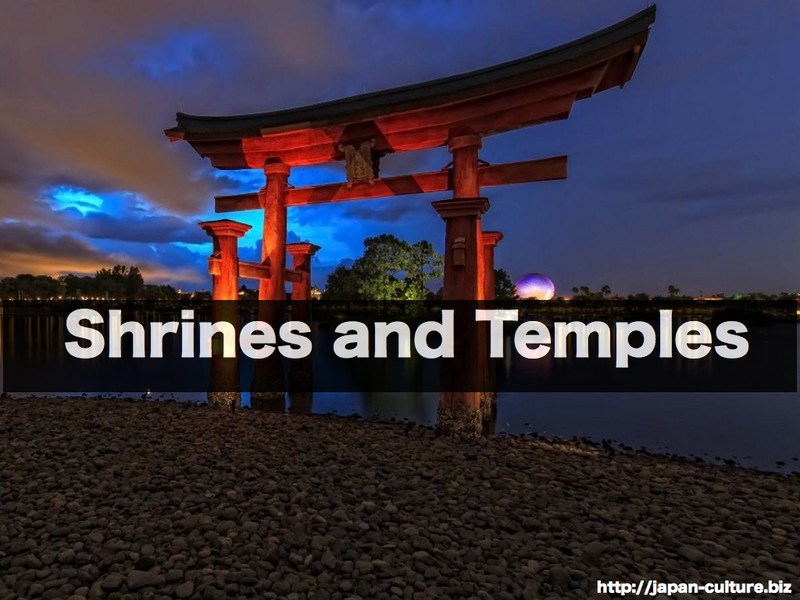 Throughout the year, the Japanese visit shrines for special occasions. Each shrine has its own god or gods. Some gods bring luck to business, and others are for schoolwork or love. Students who want to pass a school entrance exam may visit a shrine with a god for schoolwork. A woman who wants a boyfriend may visit a “love shrine”. Many people go to shrines for the New Year’s worship. Some shrines also offer wedding ceremonies in the traditional Shinto style. Many Japanese visit Buddhist temples to worship the Buddha. Many also go for special occasions like funerals and services for the ancestors. Graveyards are in the temple grounds, so we also go there to visit the family grave. But, we don’t visit regularly on certain days of the week. Japanese families are often followers of some Buddhist temple. The priest from that temple will carry out the ceremonies for all the services. People also go to temples simply for sightseeing. For example, many people visit the old temples in Kyoto and Nara just for their beauty.